If you're a busy person, then there's a good case for hiring professionals to take care of certain jobs. Especially if the task that you've got in mind requires a lot of time and effort. Take hiring a professional cleaner for example. When you hire a one-off cleaner with One-Off Cleaning you save yourself a lot of stress, and that opens up time for you to do other things. House cleaning is a job that has to be taken care of sometimes, and when it comes to one-off cleaning services that are local to Dalston, we offer the best around! Give us a call today on 020 3397 3282 and we'll get your home looking as spotless as the day it was built. Our helpful call centre staff are always available to answer your questions, supply a free price quote, or to arrange your own one off clean. We don't charge unreasonable prices here either. In fact, we've converted many customers that have shied away from professional cleaners, just because of how good value our services are. We offer high quality services, and only supply the finest cleaners, all for far less money than you'd likely expect. We provide the finest one-off cleaning services in the E8 district at an affordable price (with no hidden fees), so if you're looking to start your spring cleaning off right, call us today! Dalston is known for being a prominent shopping centre, and for having an active music and nightlife scene. 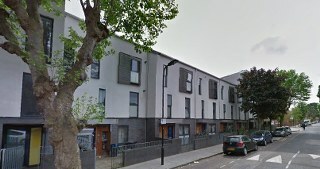 It is part of the London Borough of Hackney, and is well connected transportation as well. The Dalston Culture house is part of a recent musical revival within Dalston. It houses the Vortex Jazz Club, which has won many awards and has become one of London's finest music venues. Other musical clubs in the area include the Four Aces Blues Club, and the Labyrinth. The shopping areas in Dalston have been established for a long time. The Ridley Road Market has been up and running since the late 19th century, and is a retail food market with lots of local and exotic produce. The Kingsland Shopping Centre is home to a couple of dozen retail outlets, and the surrounding Kingsland high street has plenty of boutiques, restaurants and bars. Dalston Kingsland and Dalston Junction are the area's London Overground stations, and they cover the North London and East London lines respectively. Besides that, there's a healthy amount of London Bus routes in Dalston, providing connections to the surrounding area. Hire Professional One-off Cleaners in Dalston! Here at One-Off Cleaning we understand that a clean home isn't an easy thing to keep, especially if you keep a crowded household, or you are busy, or in most cases both. You don’t need to worry though, because our one-off cleaning services in Dalston are at your service. Our professionals will take care of every corner, and provide a proper deep clean. As far as cleaners around the E8 area go, we've got everything covered! If you've always wanted to give your house or flat a thorough going over, but have never had the time, just call us on 020 3397 3282. We'll supply an affordable and completely stress-free clean at a time that suits you. All it takes is a phone call, and you can be enjoying your freshly cleaned home by the end of the week – it's just that easy!